DIE Mercurii, 16 die Octobris. Epus. Lyncolne. Sir Orlando Bridgman Mil. et Bar. Ds. Custos Magni Sigilli. 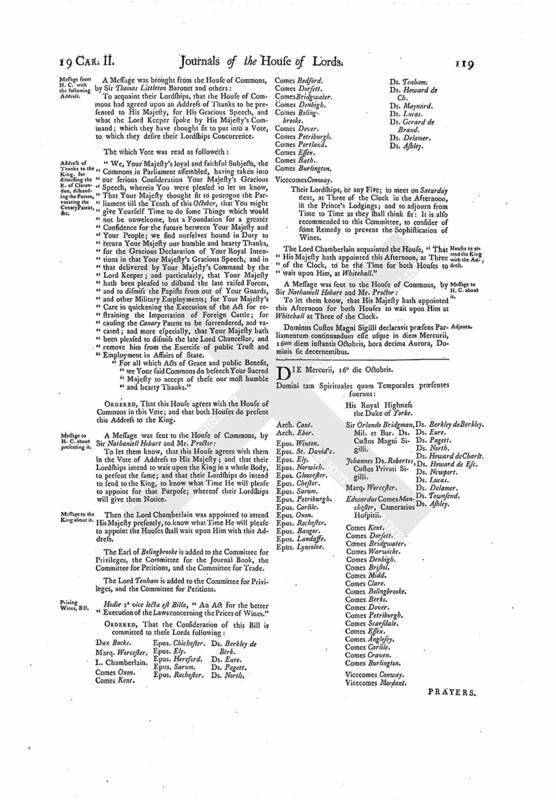 Hodie 2a vice lecta est Billa, "An Act for settling Part of the Estate of John late Earl of Clare, and for enabling Gilbert Earl of Clare, his Son and Heir, to dispose of some other Part thereof, for Payment of Debts and Portions." 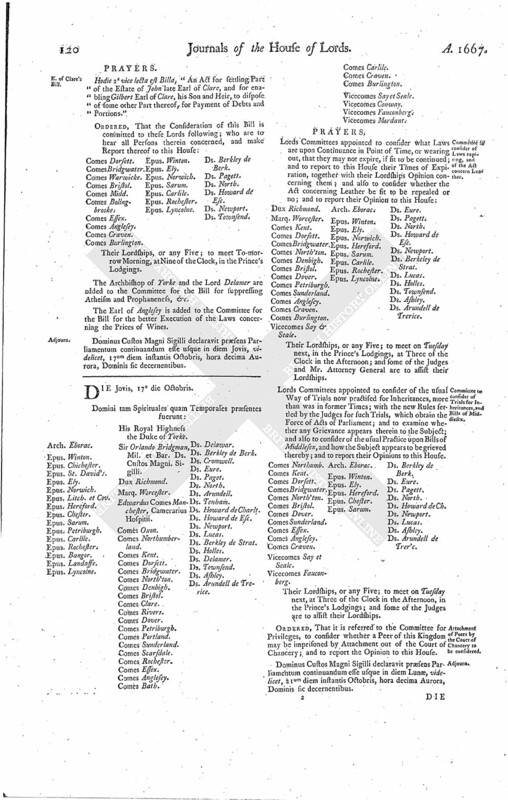 The Archbishop of Yorke and the Lord Delamer are added to the Committee for the Bill for suppressing Atheism and Prophaneness, &c.
The Earl of Anglesey is added to the Committee for the Bill for the better Execution of the Laws concerning the Prices of Wines. Dominus Custos Magni Sigilli declaravit præsens Parliamentum continuandum esse usque in diem Jovis, videlicet, 17um diem instantis Octobris, hora decima Aurora, Dominis sic decernentibus.